Until now you had to have a glass furnace to pull your own cane and a torch to make your bracelet. 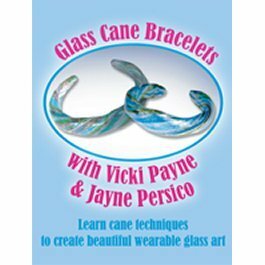 Jayne Persico shares in detail her great technique on how to make beautiful cane bracelets with your kiln. 30 mins.